Design thinking is both a mindset and a methodology. As a mindset, it’s about putting people at the center of your work. As a methodology, it’s about defining a problem, prototyping rapidly, and then implementing a human-centered design solution. This way of thinking can be used to solve problems, large and small — from designing a new hospital layout to minimize the spread of germs, to creating a new design for a spoon. In the classroom, design thinking can provide a powerful platform for creative and innovative learning. One tool that can help you teach design thinking skills in a playful and creative way is littleBits. The colorful Bits snap together with magnets, making it a fast and easy way for students to learn how to solve a real-world challenge and invent with electronics. For example, the Invent For Good Challenge, which focuses on empathy, challenges students to find a problem that’s affecting someone else and come up with a solution to solve it. Using the littleBits Invention Cycle, which draws inspiration from Stanford d. school’s design thinking process (identify a problem, brainstorm ideas to solve it, prototype a solution, test/play with it to see if it works, and learn from your findings to improve it), students are able to quickly invent solutions to address the problem that they’ve identified. Students go through the process, step-by-step, and document what they’re doing as they go along using the littleBits Invention Log. 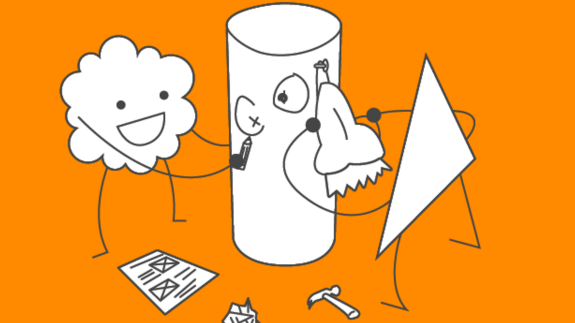 Sharing is also encouraged as an important part of the feedback process; you can view and comment on inventions from creators all around the world on the littleBits invention page. Three amazing examples: 8-year old João from Brazil invented a prosthetic arm, 11-year-old Anahit and her sister from California created a device to help the blind navigate, and middle-schooler Max from Ohio built a smart way to socialize cats. What will students design, invent, and create in your classroom this year? Let’s find out!